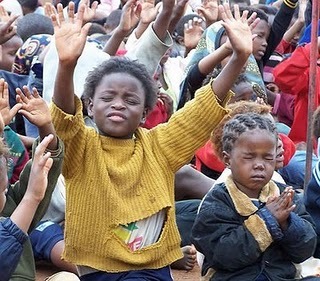 One of the most exciting developments globally is the emerging prayer movement among children and teenagers. In many nations God is pouring out his Spirit of intercession on a new generation, leading to changed lives and a dramatic advance of his Kingdom in new places. Whether they meet in creative prayer rooms, class rooms, on the streets, or in fields, this generation is eager to spend time in God’s presence. Praying from the high places, the slums and dumps of the world, or their own homes, these young people speak peace and blessing over their cities, and are willing to plead with God for the needs of their generation.